Here's a hot deal worth checking out! 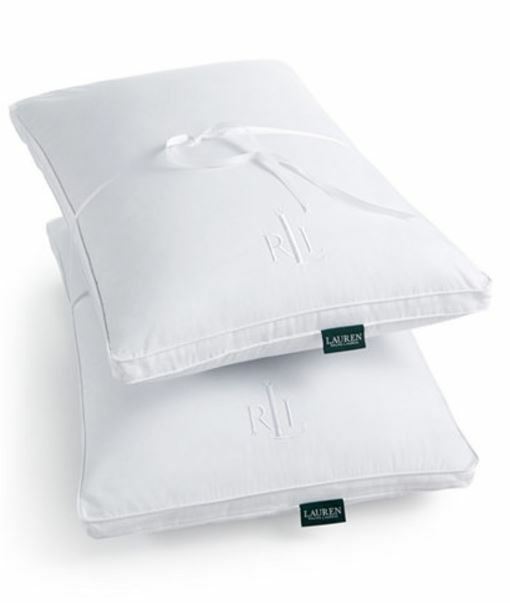 Get this Ralph Lauren Bronze Comfort Standard Down Alternative Gusset Pillows, Twin Pack on sale for $8.99 (Retail $50)! Offering soft shells generously stuffed with LiteLoft® fiberfill and a gusseted design providing enhanced support ideal for side sleepers, this Bronze twin pack of pillows from Lauren Ralph Lauren takes your comfort to a whole new level. Choose free in store pick up if available near you or shipping is free with any beauty purchase. I purchased three sets of pillows, 6 total and a NYX Professional Makeup Mechanical Eye Pencil for just $33.32 shipped!